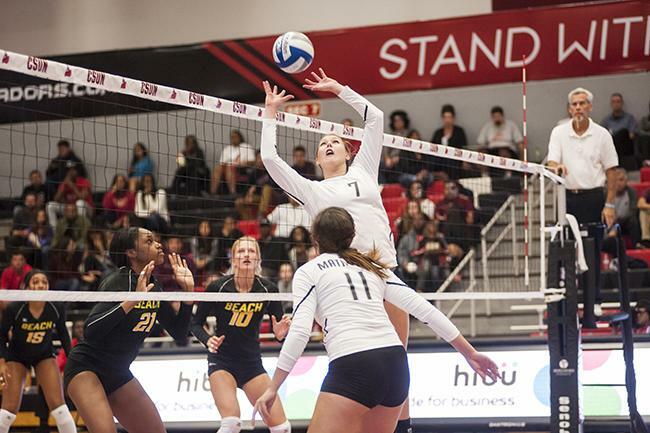 After a four set match, the Matadors (14-8, 5-5) were issued a 3-1 loss against the Hawaii’ Rainbow Wahine (17-6, 9-3) on Saturday night. 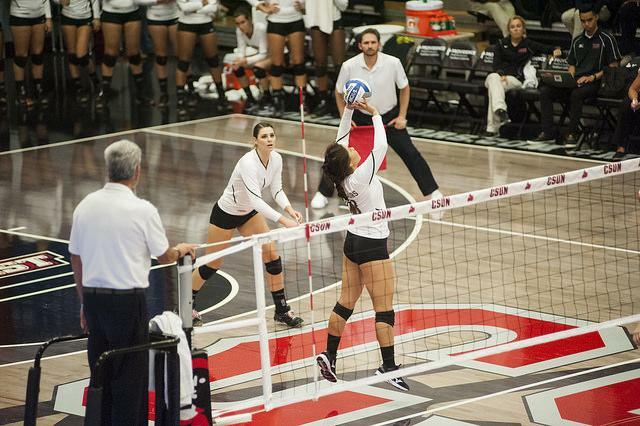 The Matadors came into the bout with the Rainbow Wahine off of a 3-1 loss to Long Beach State. 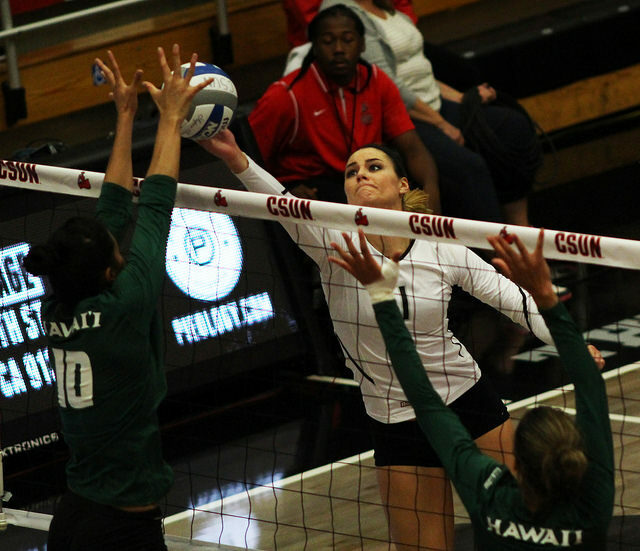 CSUN traveled to Hawaii’ and were outhit .336-.176 by the same team that they swept in October. Junior outside hitter Cieana Stinson walked away with 14 kills while senior middle blocker Casey Hinger put up 12 kills and hit a team-high .391 at 23 swings. 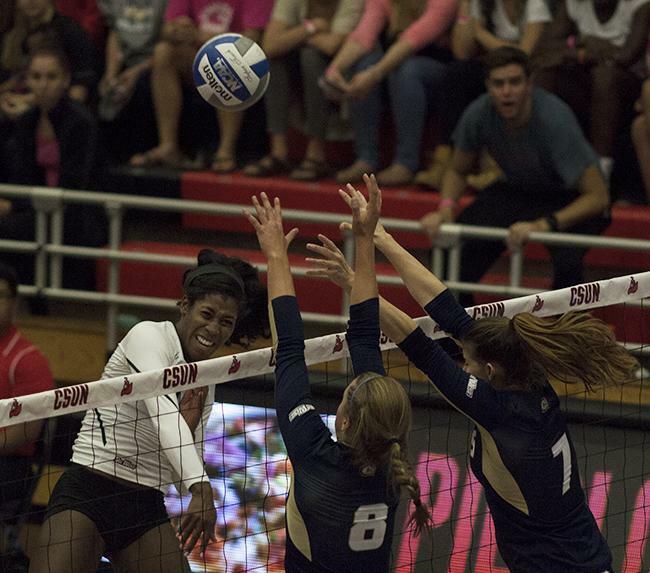 Right behind Stinson and Hinger was junior outside hitter Danetta Boykin with 10 kills and three service aces. Leading the team in digs was senior libero Kelcie Randazzo with 18 while freshman middle blocker Rachel Diaz executed four blocks. The host Rainbow Wahine won the first set at 16-25 following a set two win by the Matadors at 25-22. Set three was a close battle as the score were evenly matched 13 times throughout the set. 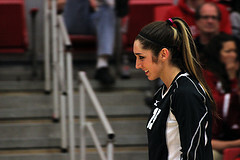 It was not until the score was matched at 20-20, thanks to a kill by Hinger, that Hawaii’ was able to keep a lead. Hawaii’ ultimately won the third set at 23-25 and finished off the game entirely with a set four win at 18-25. 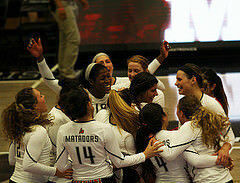 The Matadors will be having their next game against UC Santa Barbara on Friday, Nov. 14 at 7 p.m. in the Matadome. 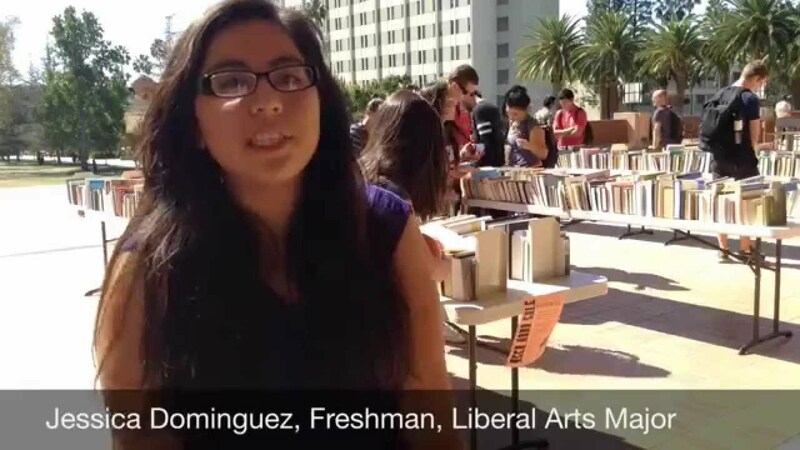 Friends of the Oviatt library invited students to buy books at low prices. 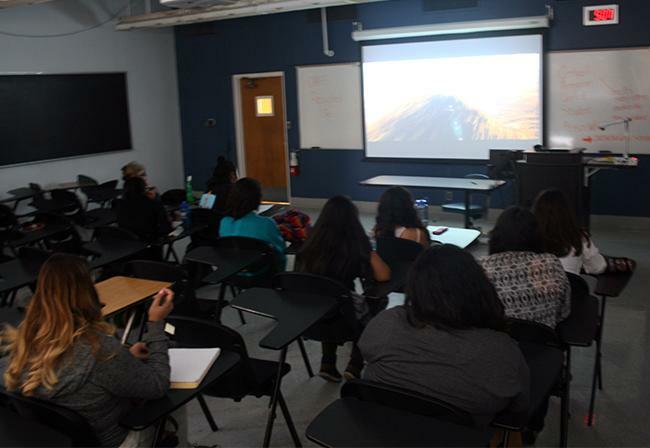 Every student that buys a book goes towards new materials for the library.